Why on Earth Can We Not Drink The Water of The Sea? Why on Earth Can We Not Drink The Water of The Sea? Globe Trooper > Community > Why on Earth Can We Not Drink The Water of The Sea? Why on Earth Can We Not Drink The Water of The Sea? Imagine you’re stranded on a desert coastline… Namibia’s, perhaps. The searing heat drains your body of fluids and your mind slows to a snail’s pace. Forget food, forget sunburn, forget your coordinates; your biggest danger here is dehydration. If you don’t find water soon, you’ll perish, simple as that. As you stand there, you can’t help but look at the trillions of liters of water right in front of you. But it’s salt water, and you know you shouldn’t drink it. You’re not sure why, but deep down you know it’s off limits. Surely a few drops won’t hurt, maybe just half a cup. You’ll die if you don’t drink something soon, so why on earth can we not drink the water of the Sea? In these situations, it isn’t enough to just know something’s off limits. When push comes to shove, and when everything’s on the line, you can rationalize your way around anything; even drinking sea water. 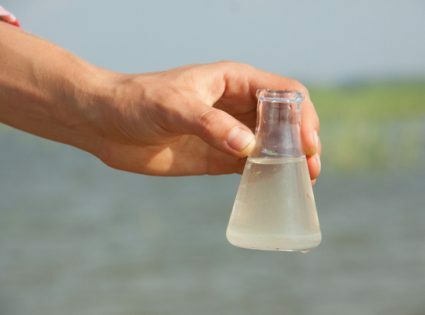 So the question remains: why can’t we drink sea (salt) water? Firstly, Why Do We Need Water? Our bodies are mostly water, between 70 and 80%, depending on whom you talk to. The water in our bodies supports many functions, including waste removal and temperature regulation. Since water is consumed and expelled by these functions, we need to constantly replenish our water reserves to survive. How Do Our Bodies Regulate Temperature? In most situations, your body regulates temperature using radiation and convection. In short, this just means your body sends heat to the surface (skin), so cooler air around you can absorb the heat. But this is only effective if the external air is cooler than your body. When the outside air becomes hotter than your body, you perspire to regulate temperature. This is not about dampening and cooling the skin; quite the opposite actually. Your body dilates the blood vessels near the skin (sending more hot blood through them) and excretes sweat to effect evaporation. The process of evaporation requires energy, and that energy comes from the heat in your blood and skin. By consuming heat to effect evaporation, your body essentially cools itself, particularly its core (brain and vital organs). How Do Our Bodies Absorb Water? You may remember the process of osmosis from science class at school. Osmosis occurs across a semi-permeable barrier (our cell membranes). That barrier allows water molecules to pass in certain directions, depending on the concentration of water solutions on each side (imagine different concentrations of salt water). In normal circumstances, the saltiness of water in your cells is the same as the saltiness outside your cells. This is called an isotonic state. But when your cells consume water, the solution becomes more concentrated, and the natural process of osmosis allows water from outside your cells to pass into your cells to achieve equilibrium (this is called osmoregulation). That’s how we absorb water as it’s needed; it’s a natural process. Why Can’t We Drink Too Much Pure Water? Your cells are isotonic to about 0.9% saline solution. If the salinity of the solution outside the cells decreases, your cells absorb more water to get back to an isotonic state. When marathon runners and other endurance athletes drink too much fresh water, the solution outside their cells drops rapidly in salinity, so osmosis allows water to pass into the cells as a part of osmoregulation. If they absorb too much water, the cells will swell and burst, which can lead to a quick death. This is why runners drink sports drinks that contain sodium and potassium, to help maintain an isotonic state (and it’s why they’re called isotonic sports drinks). Why Can’t We Drink Too Much Salt (Sea) Water? The opposite happens when drinking sea (salt) water. The salinity outside your cells increases rapidly, so osmoregulation effects a movement of water from in your cells, to outside your cells, to achieve an isotonic state. So even though you may be dehydrated, your cells will actually release, rather than absorb, the water around them. But why would your dehydrated body expel water when death is imminent? Well, this isn’t a conscious decision by your body. It’s simply molecular physics and osmosis at work. And in osmosis, water passes from low saline concentrations to high saline concentrations, end of story. So, you should absolutely not drink sea or salt water when dehydrated. It’s not just an issue of not absorbing the water, but an issue of osmosis accelerating the release of water and dehydration. I said in the introduction, “You’ll die if you don’t drink something soon, so what’s the worst that can happen?” Well, what’s worse than dying? Dying much sooner, potentially before help arrives.